Most people don’t realize they are depressed until depression has grown deep mental roots. These roots come from seeds of negative thoughts. If you can control the flow of negative thoughts you can overcome negative behavior. Dr. A. G. Green Sr., is a pastor, counselor, and survivor of depression. 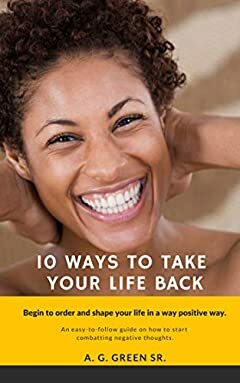 In his book “10 Ways To Take Your Life Back”, he presents actionable steps that people can use, to counteract negative thoughts, that can lead to depression. The life we live isn’t accidental it’s intentional. The ten ways Dr. Green presents in his book have been applied numerous times by many people and has produced powerful results. Whether you’ve overcome depression or you’re dealing with it now, this book is sure to empower you to new levels of victory.